These fabulous themed favor boxes have 'class' written all over them! You provide us with the name and we turn it into "Name & Co" (or whatever you'd like written on them). Best of all - they arrive fully assembled - all you need to do is fill them with a treat! 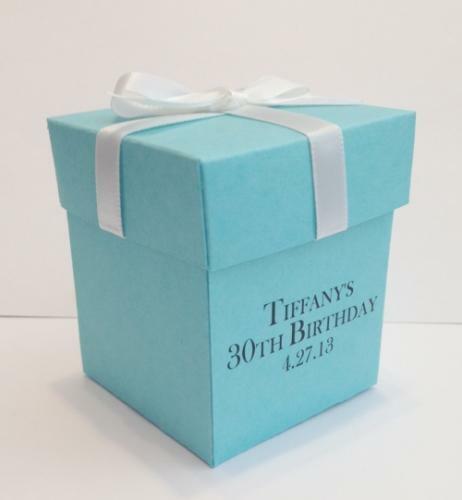 Each favor box measures approximately 2" wide by 2" deep and x 2 3/4" tall. It can hold a generous amount of small candies, a couple Lindt truffles, flower seeds, fortune cookie cookies, tea-light candles, etc. Due to high demand please allow us 10 business days to fulfill your order; then add ship time.